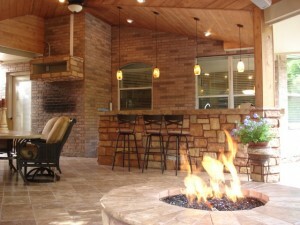 Outdoor designs contest: Bar/fire pit winning! 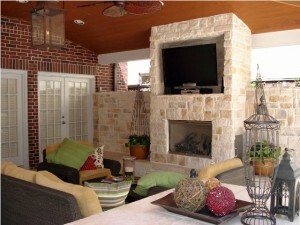 In our outdoor designs contest, the bar/fire pit area is winning by more than 2 t0 1 over the TV/fireplace room! 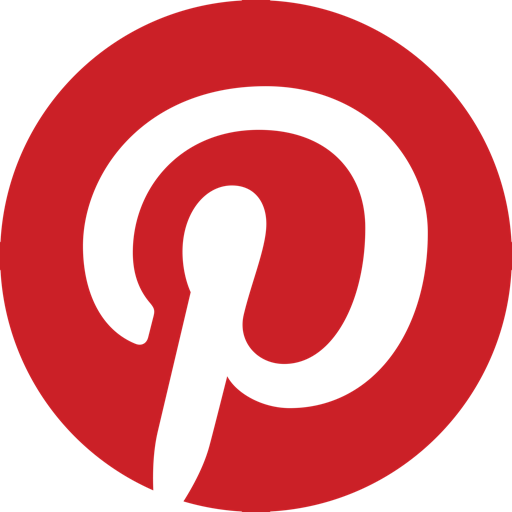 Those who vote have the chance to win $1,995 in outdoor design services. The contest has 14 participants so far – 10 of them voting for the bar/fire pit area and four voting for the TV/fireplace room. The bar/fire pit area is perfect for having a cocktail at the bar or sharing a bottle of wine with friends in the seating area around the fire. The TV/fireplace room is great for watching the game in front of the fire in winter or movies with the kids during a summer pool party. The $1,995 outdoor designs package includes two hours of in-home consultation, three hours of software drawings, plans for a landscape, outdoor kitchen, covered patio or one of out other outdoor designs and a 3D graphic with a scale drawing.